As an occupational therapist, I am trained to analyze a task carefully to see what is working and what is not. We are often asked to help with children’s handwriting, especially when parents get the report from the teacher that their child’s handwriting skills have fallen behind the school’s expectations. I have created a chart that outlines the basics of my thought process when I am asked to assess a child for poor handwriting. I see a progression of skills that have to work closely together to result in a complex motor outcome: handwriting. It starts with the development of motor skills, starting with large motor movements and progressing to small, controlled movements. Along the way, children learn body awareness and control, resulting in the ability to coordinate movements. With increased use of the hand for controlled play, hand dominance develops. This is followed with the hand muscles (called intrinsic muscles) refining their movements to allow the thumb and index and middle finger to move dynamically, while the pinkie side of the hand provides stability (called “dissociation of the hand”). The final result is that a child can perform small movements of the hand for functional tasks: dexterity. Second, while the motor skills are developing, the brain is working on learning to process visual information. To do this, it must be getting visual information in, meaning the eye muscles need to be working well. Once the information gets into the brain, the brain has to make sense of it through visual processing. Once the brain processes the information, it usually needs to make a motor response, resulting in eye-hand coordination. The final result is the ability to take in visual information and respond with a motor movement: visual-motor integration. If a child has appropriate motor skills (dexterity) and eye-hand coordination (visual-motor integration), but is still struggling with hand-writing, there are several possible reasons. Have they been given the chance to learn handwriting- has anyone provided instruction and the guided opportunities to learn? 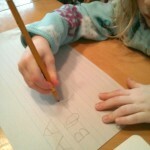 Just like any other motor skills, handwriting has to be learned through repetition and practice. Do they have the ability to learn handwriting skills the way they were taught? 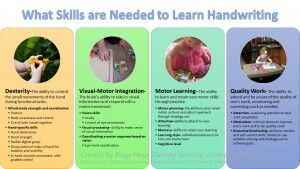 Some children struggle with motor learning, which is the ability to learn and retain new motor skills through practice. Motor learning is influenced by attention, memory, learning styles, and cognition. Last, does the child want to learn handwriting? It there is not motivation (either intrinsically or externally through a reward program) children do not learn as well. Learning to be motivated to do quality work is part of executive functioning skills. Quality work is the ability to attend and be aware of the quality of one’s work, monitoring and correcting work as needed. It relies on attention, motivation, and executive functioning skills. In summary, while there are hundreds of possible reasons a child may struggle with handwriting, the key areas I look at first are dexterity, visual-motor integration, motor learning, and quality work. Children that commonly struggle with dexterity are children with low tone, joint laxity and muscle weakness, or children with developmental delays in multiple areas. Children that struggle with visual-motor integration or/and motor learning often have sensory processing disorders or learning disabilities. Children that struggle with quality work are most often children with attention disorders or children with poor executive functioning skills (to learn more about executive function- see my previous posts). 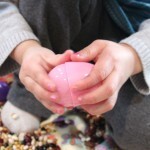 For more information on fine motor development, see this post. To read about my fine motor, DIY program for parents, click here.